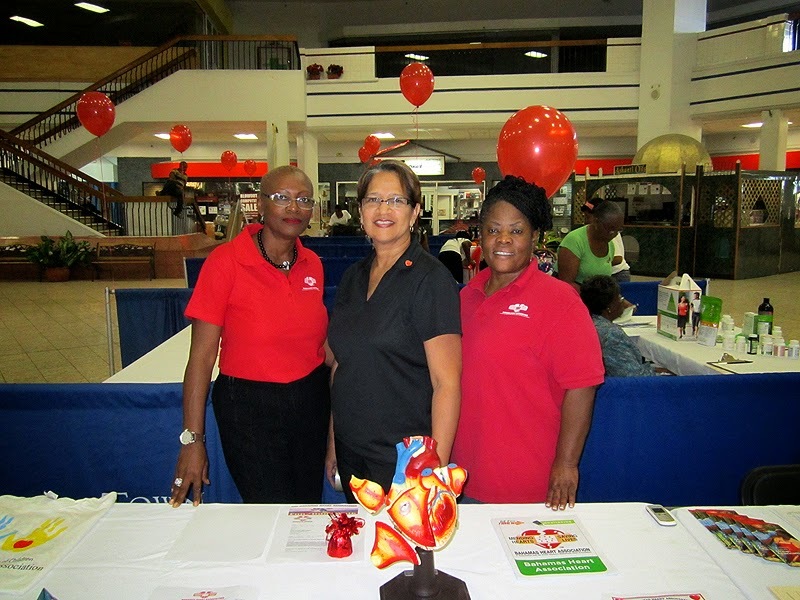 On Thursday February 27th, The Bahamas Heart Association hosted their Annual Health Fair at Town Centre Mall. 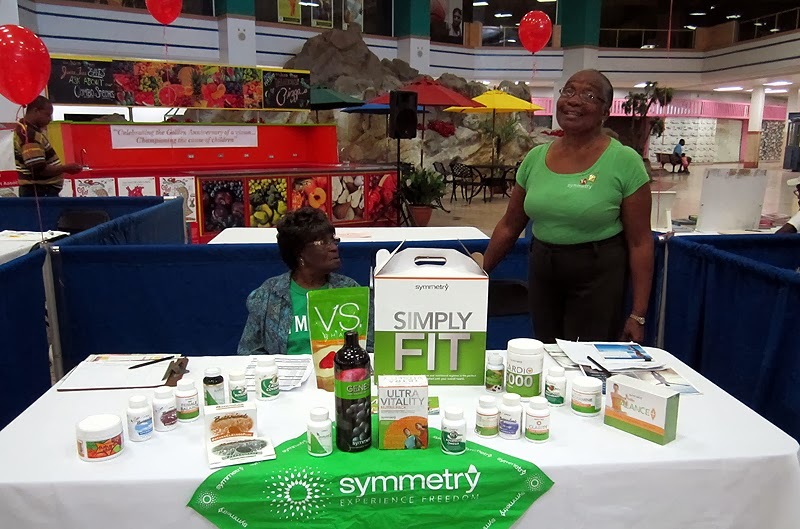 This event is hosted to educate the public and create an awareness about general health and heart health. 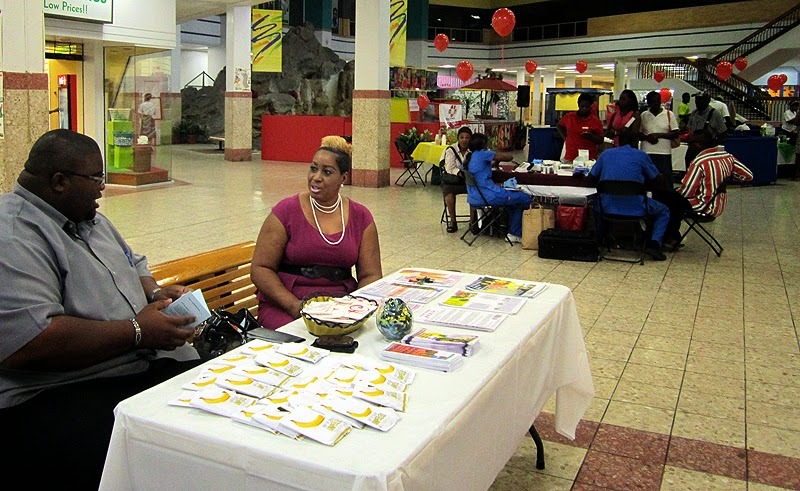 It is also an opportunity for people to get tested privately for things such as cholesterol, glucose level, AIDS etc. 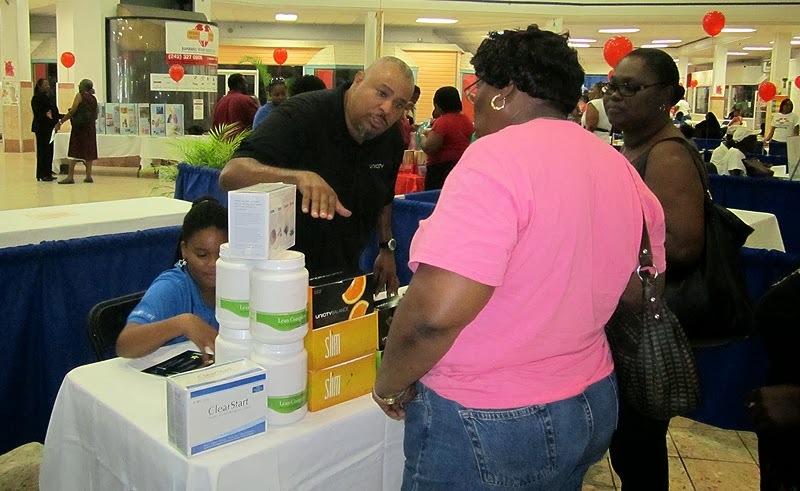 It’s also an opportunity to meet drug distributors, obtain information about heart related disease ,and learn about alternative care and treatment eg. Symmetry. 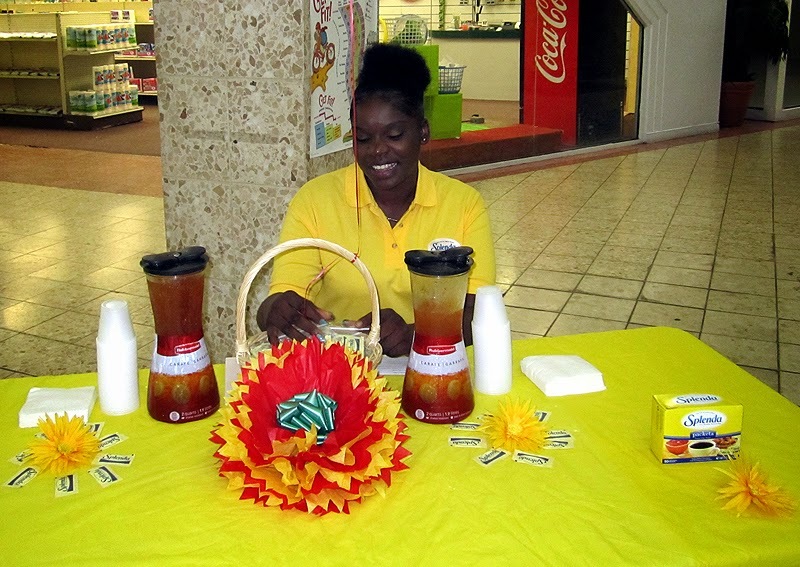 Sponsors for this event were: Aquapure, Town Center Mall, Fashion Hall, Doctor's Hospital, Thompson's Trading, D'Albenas Agency. 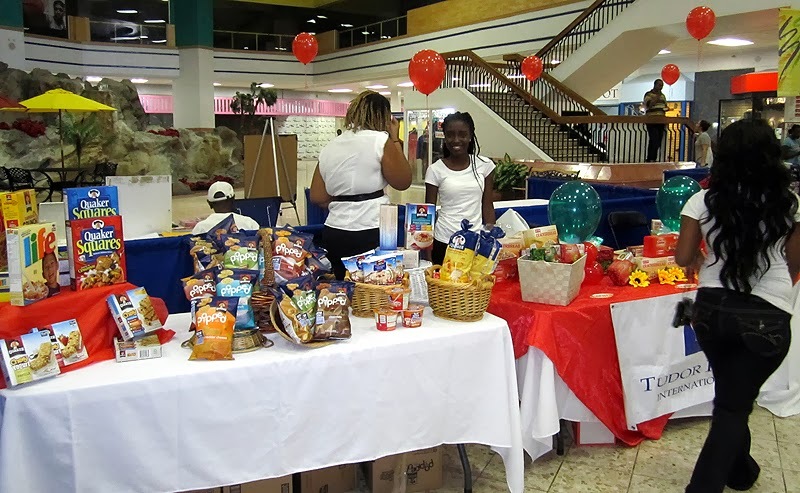 Booths present at this event were: The Bahamas Heart Association, The National Drug Council, Lowes Pharmacy, Cancer Association, The Nurses Association of The Bahamas, Symmetry, The Diabetes Assoc., Healthy Life Style, Thompson's Trading, UNIFY, Owen Burrows, HIV Aids Programme, Doctor's Hospital and the D'Albenas . 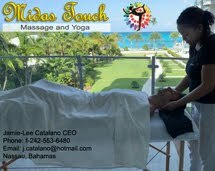 According to Thelma Johnson, The Bahamas Heart Association’s President, “We were happy to host this event. 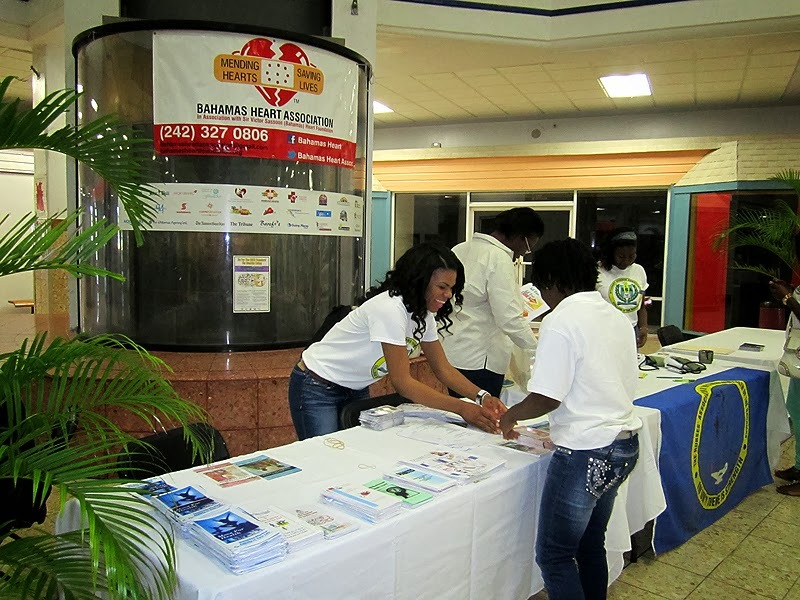 We encourage the public to become educated about their health, especially heart health. 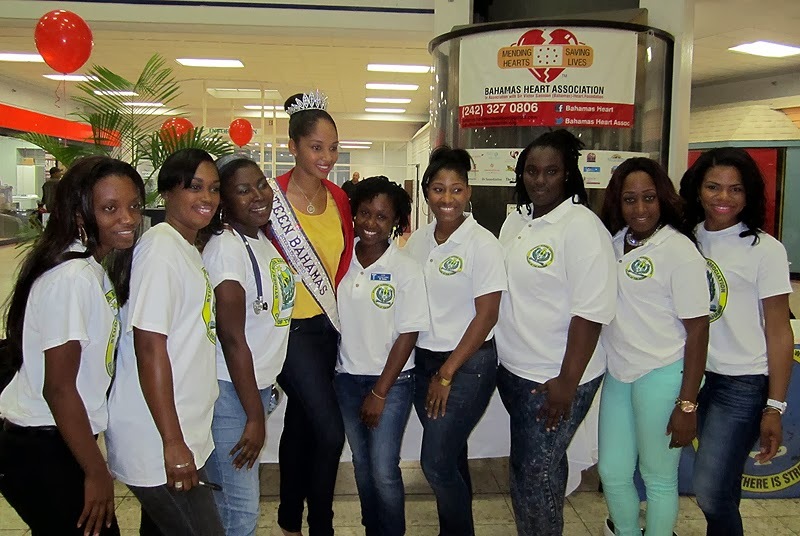 The Bahamas Heart Association is here to create an awareness and educate people about heart disease. 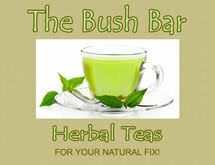 We can provide presentations / lectures to schools, workplaces etc. 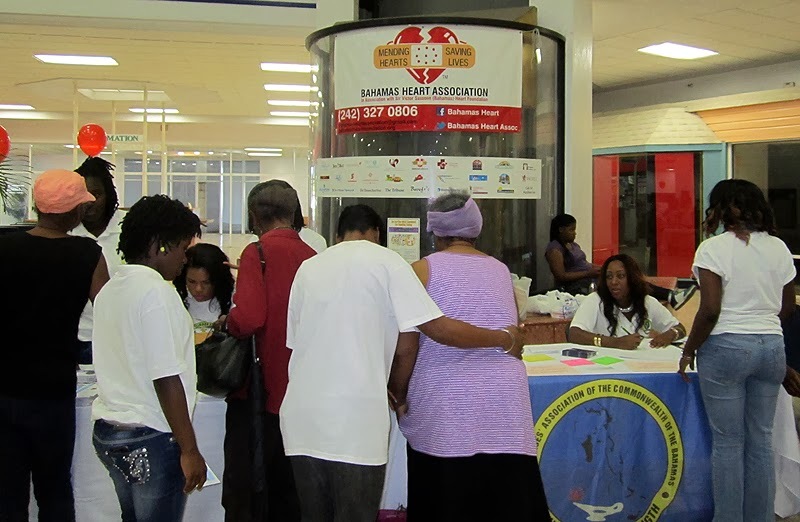 We welcome the public to become a part of The Bahamas Heart Association. 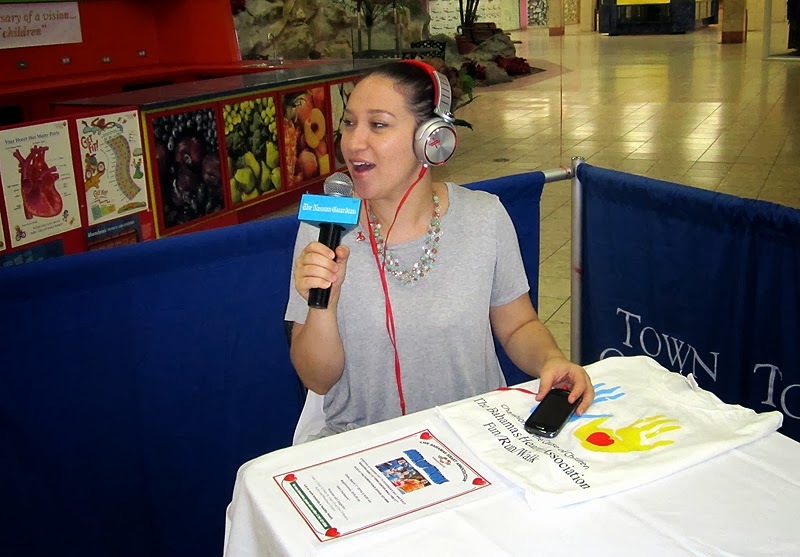 Your support helps not only you, but also a child in need of heart care. 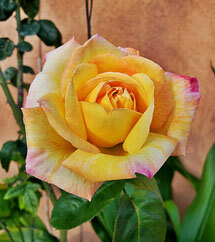 We thank everyone who have supported and joined us”.